Diversity is the seeking and achieving of a broad representation of experiences, perspectives, opinions and cultures within the Hampton Roads community. Inclusiveness is an essential source of vitality and strength for the effective pursuit of an organization’s mission. 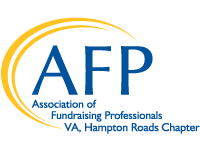 The Diversity Committee serves as a springboard for ideas and generates concepts related to the diversity of the Hampton Roads Chapter’s membership and the inclusion of all communities.